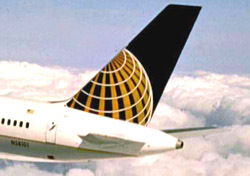 On June 5, Continental announced plans to reduce domestic capacity by 11 percent for this fall and winter. The airline will cut 3,000 jobs and begin retiring 67 of its older planes. Some planes will eventually be replaced by new, more fuel efficient models, but Continental’s fleet is still expected to shrink 8 percent by the end of next year. The 3,000 lost jobs will amount to roughly 6.5 percent of the carrier’s current workforce. The airline has not yet specified routes that will be affected by the capacity reductions, noting only that changes will begin in September. Continental does say that information will be available by the end of next week, so we’ll keep an eye on the news. This announcement follows similar moves by United and Spirit, which announced capacity and staffing cuts of their own earlier this week. American more or less got the ball rolling last month when it decided to shrink its route network by 11 percent. In what’s being billed as “recognition of the crisis and its effect on their co-workers,” Continental’s CEO Larry Kellner and President Jeff Smisek are declining their salaries for the remainder of the year, as well as some additional payments they could have received in 2008.